It's true….over the years our home decorating style can change. Between trends and what we perceive to be in style based on what we see in magazines and online, can be quite overwhelming. I've seen many trends come and go through 24 years of marriage. For me, one thing that stays a constant in our home is furniture style. What's my style….Vintage Eclectic in a nutshell. Vintage Eclectic is of time gone by. Stories are told and new memories are made. The rooms in our home have evolved through the years. That is how I feel you obtain Vintage Eclectic Style. You don't rush to furnish and decorate your home. It looks collected through the years. My favorite way to accessorize our home is by hunting thrift and antique stores. My daughter's room is another example of this. This room is a perfect example of Vintage Eclectic style. 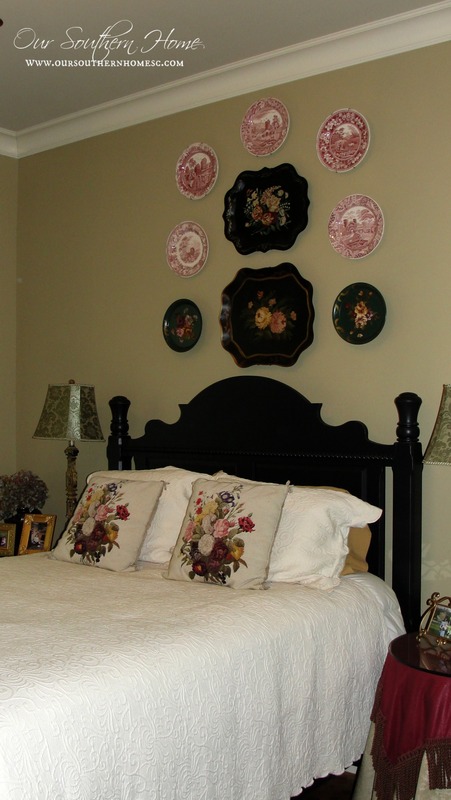 There is a mixture of new, handed down family heirlooms and thrift store finds made over with decorative paint finishes. I have been familiar with Sauder Woodworking Co. for many years, and was impressed by the furniture offerings today! Sauder has been providing us with high quality, affordable furniture selections for years. They have many styles to help the just starting out to the seasoned homeowner decorate their home affordably! This dresser from Sauder would be a perfect addition to my daughter's room. 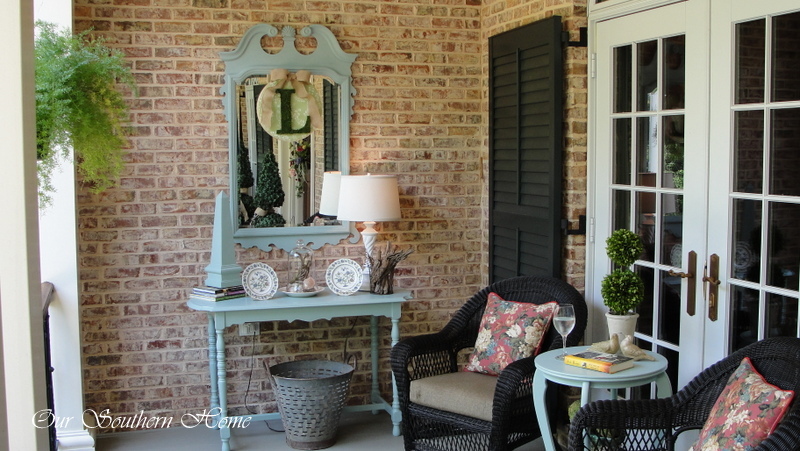 Vintage Eclectic style can extend to porches. The look can be obtained indoors and out. Of course, I only use thrift store furniture finds on my porch painted with an exterior use paint. With the exception of the wicker and a couple of accessories, this porch was decorated with thrift store finds that were collected. Don't be afraid to change things up! Shop your home to keep your Vintage Eclectic style fresh and “new” to you. I am smitten with this portable island from Sauder! I encourage you to think out of the box on this one! You are thinking kitchen…right? How awesome would this be in a craft room space? 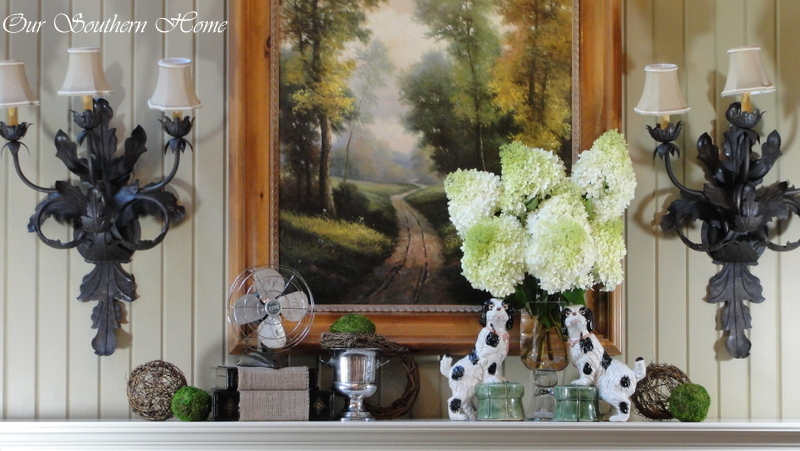 Our mantel is a favorite way to showcase my love of vintage. I change it out with the seasons by simply shopping our home. I borrowed the vintage fan from my son's desk! I would love to have this bookcase from Sauder for an area in our kitchen. I have been wanting a bookcase just like this to house my large cookbook collection. So let's recap Vintage Eclectic Style. Paint thrift store items to add color and refresh their possibly tired look. Shop your home with the changing of the seasons to rearrange furniture and accessories. It helps to keep the things your love fresh and new! Sauder is a name you can trust! Established in 1934, they are bringing us affordable furniture with style. Sauder furniture is purchased ready to assemble. With just a screwdriver and a hammer, you are on your way to decorating the room of your dreams! They come beautifully pre-finished for a durable surface for many years of use! Want even more inspiration? Check out Sauder's PINTEREST PAGE. Beautifully done Christy!! Love your style! Christy, we have at least 5 pieces of Sauder in our home..The Heritage Collection in Dark Cherry because it is affordable and blends in with our expensive furniture. We have found the Sauder Co. great to work with excellent customer service. Yes, it comes unassembled, but my husband says the directions are very easy to follow and simple to put together. They give you all the hardware and screws and washer(or whatever is needed). If you are missing even the smallest of those, or if a board was damaged in shipping, all you do is call their 800#, tell them the #of the piece, etc and they ship it out right away and you have it usually the next day or day after up UPS..We have a filing cabinet now that I need to replace a part but I was one the one who damaged it so I will need to pay for that part myself. Nobody can tell the difference just looking at it vs expensive furniture unless they examine it closely. If you arrange all the pieces out like the instructions suggest, it takes about 4 hrs. or less to put a piece together. (My DH is very meticious about reading instructions. It may take somebody else less time. I can’t praise Sauder products enough.